Authors and writers— take the anxiety out of creating pitches for marketing your book with Make That Pitch, a downloadable, interactive, writing course. ✧ A walk-through of a face-to-face pitch session with an agent or editor what to do and not to do. ✧ Real-time Feedback by the course's instructor. Course Instructor - Catherine E. McLean, Author-Writing Instructor-Workshop Speaker. This course is taken from her month-long online course Make That Pitch, now distributed by Rimstone Concepts. 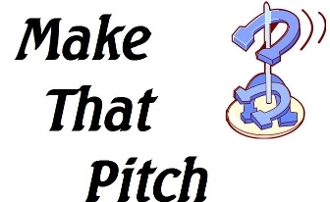 Make That Pitch - Comes in two, downloadable PDFs totaling more than 50 pages of step-by-step, nuts-and-bolts, how-to successfully create pitches so you can confidently market your work. PLEASE NOTE - In order to fully benefit from this course you must have completed and have edited one or more fiction manuscripts and written a brief synopsis for the work that does not exceed 1500 words. This is a private, one-on-one, comprehensive course and includes real-time feedback and help from the instructor.